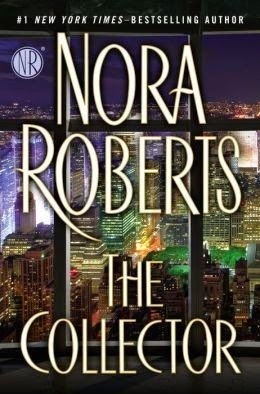 Review of The Collector By Nora Roberts. Spoiler Alert. Myself, I had a great book that I can’t wait to share with you and a good week too. I found this book to be amazing. It not only has a great romance, and a second story of romantic natura as well, but it compiles almost every genre. Suspense, robbery, murder, romance and of course, shenanigans. Whats not to love right? If you have not yet read anything about her, like me -who has being in a bubble and is not ready to get out- then look for her work. Its amazing, and if you are a Nora Roberts fan and are looking for something of her that is fairly new, then look no more. “The Collector” is for you. I read the sample and liked the narrator, so there is that. The book is amazing, she portrays an array of characters and it feel like they all belong. Super sized notorious, incredible famous and wealthy families paired up with hard working, sure of themselves and talented woman who know what they want. It’s an all inclusive if you ask me. You feel what the characters feel, you put yourself in their shoes and company them in their adventures. Yell at Lila when she puts herself in danger and laugh with Ash when he, so sure of himself, makes predictions of the future he wants and will sure get, because he wants it. All in all, this is 450 pages of pure fun, old fashion romance. I loved it beyond words and will surely look for other works of Nora Roberts, from now on, she will always have a spot on my bookshelf. Hope y’all have a great book keeping you company. Don’t forget to give me a thumbs up if you find this useful, and for more info on what will be reviewed next you can follow me on Facebook on the I Geek Books Page. Or on Spreaker: (you will need the app for your phone, is free) for the AudioBlog of I Geek Books. Posted on April 29, 2015 April 29, 2015 by ccalvarez90Posted in UncategorizedTagged #GreatBook, #IGeekBooksBlog, #IGeekBooksReviews, #NoraRoberts.